I was pretty sure that I had two separate critters raiding my garden, a small one and a larger one. As soon as we released the big raccoon, I set the trap again and caught the small critter. An opossum! Opossums try to look as vicious as they can. This trapped opossum is showing me his threat display. We took this medium sized possum to the park and released it in a wild area, where, like the raccoon, it will have access to water and plenty of native foods. Three days later, my garden still hasn’t been dug up again, so now it’s safe to replant. The damage from those two marauding critters left me with only four parsnip and four carrot seedlings. I don’t think that the squash will recover from being uprooted and I worry about the two tomatoes that were uprooted too. There’s still plenty of time to replant if they fail, but I’ll be weeks behind. Such are the woes of an urban gardener. 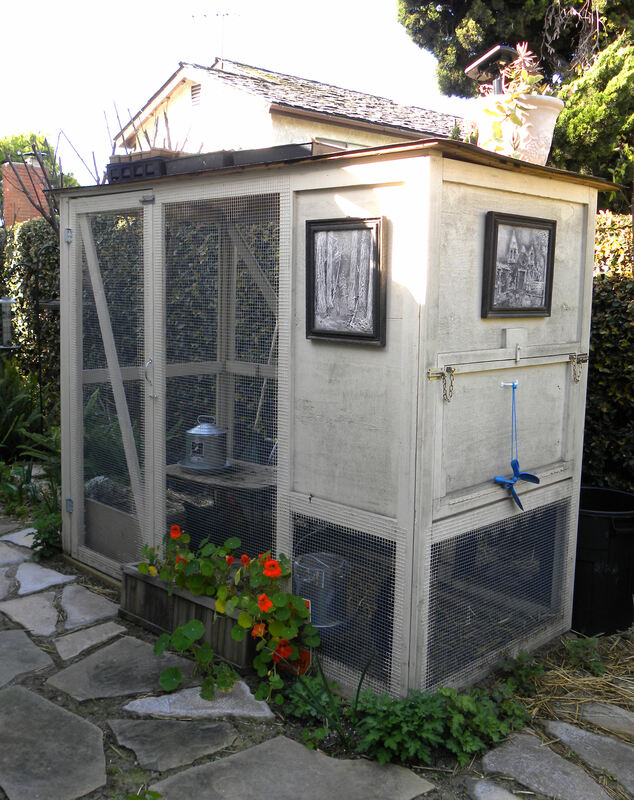 For safety of our hens, we totally enclosed their run in hardware cloth. The roof atop the run serves as a place for the solar collector for their "night light" and as a green roof where I start seedlings and grow mesclun. And it’s because of marauding wildlife that I totally enclosed my hens in a run of hardware cloth, not flimsy chicken wire. I know that they’ll be safe in their coop. I’ve heard horror stories of raccoons chewing off the legs of roosting hens at night. Ug. Not gonna happen to my gals. 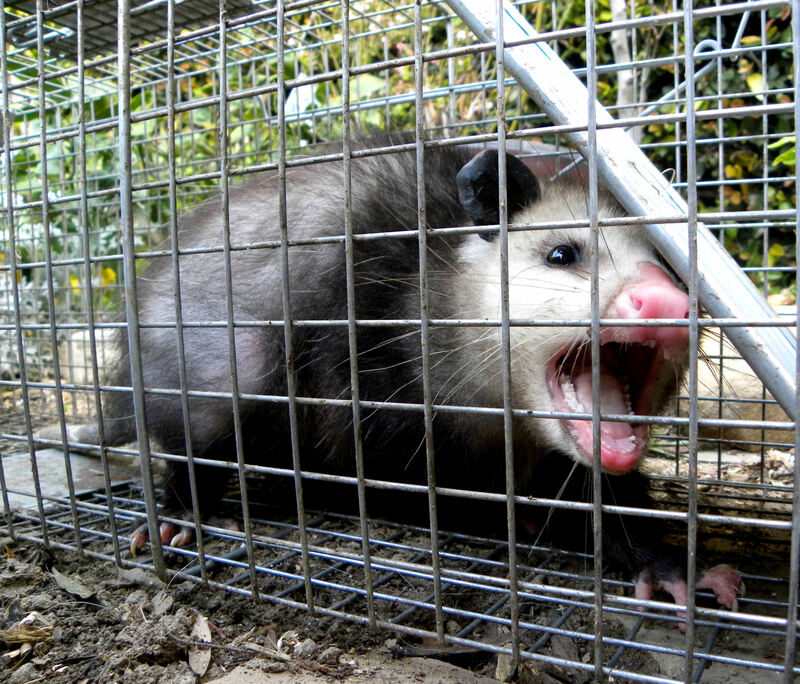 This entry was posted in Uncategorized and tagged havahart, live trap, opossum, possum, trapping, urban wildlife. Bookmark the permalink. 2 Responses to Got something else–an opossum! That’s fantastic. I probably would have stopped after catching the first, and that would have been catastrophic. Nicely done. Thanks, Turling. The different sizes of the holes that were dug led me to believe that there were two different critters. What I didn’t expect was two different species.